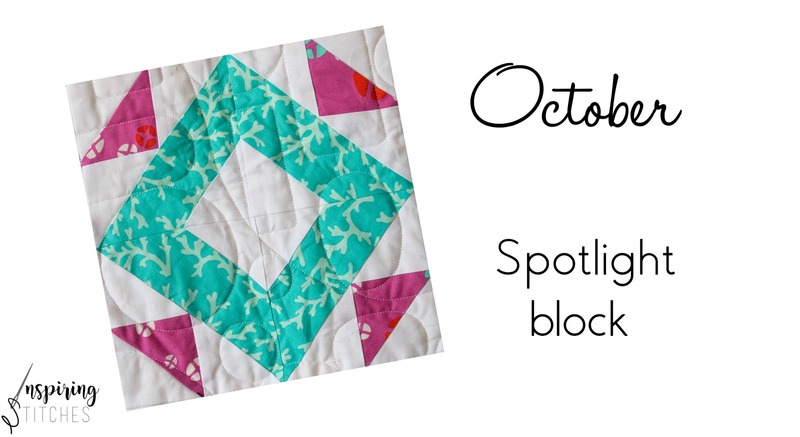 We are coming closer to finishing our Heartland Heritage quilt top and today, we are showing off our Spotlight block This simple block is perfect for practicing points. For anyone just starting out, these can be tricky. The block measures 9″ square when finished and uses 2 contrast colors with your background. You will need to make 5 blocks to complete your quilt. Remember, you can join the fun at anytime. 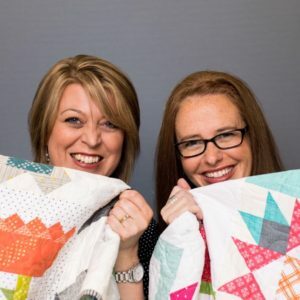 Click here to catch up on past blocks or if you have not yet grabbed the Heartland Heritage pattern, be sure to check our retail partner list to find a shop near you. To get your creative juices flowing, here are two of our finished blocks. While visiting your local shop be sure to ask about this month’s special bonus project. 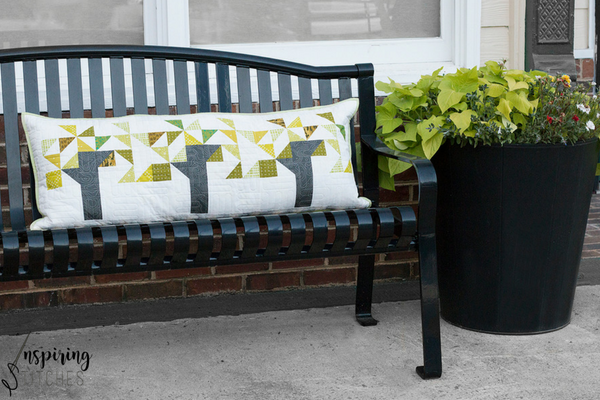 The bench pillow pattern is made from 3 Willow Tree blocks and is perfect for your front porch. Each shop is different so be sure to ask if they are offering the project as a class or kit. Amy and I are pulling scraps from our fabric stash to make our Spotlight blocks and can’t wait to see what fabrics you stitch up. Be sure to share below. Click the blue button to show off your Spotlight Block. PS- if you are just joining us be sure to check out the Willow Tree Block from September here and then mark your calendars because we will be back next month to stitch up a fresh new block of Heartland Heritage. I cant believe how fun this months block was and so easy too. Thank you ladies. Thanks so much for the note Cindy! We are glad to hear that you are having fun and enjoying the pattern.